The Russian Far East plan was going to include a number of hydro projects on the Amur river basin to control floods and generate electricity. This project never completed preparation phase, the dam was removed from the RusHydro investment plan in 2017. 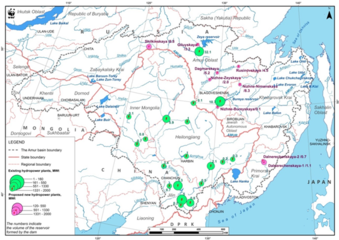 In 2013, JSC RusHydro announced that it was considering potential cooperation with the China Three Gorges Corporation (CTG) on the construction of storage-based hydroelectric facilities on the feeder rivers of the Amur to contain future flooding in the region, following the massive floods of that same year . According to the Russian company and the Moscow government, significant parts of the Amur River still remains unregulated by reservoirs, leaving it open to periodic catastrophic floods. In order to mitigate the floods and to prevent possible damage, construction of new hydropower dams with large reservoirs is essential, as well as construction of counter-regulator dams in tailrace of the existing large hydropower plants, RusHydro said in a statement. 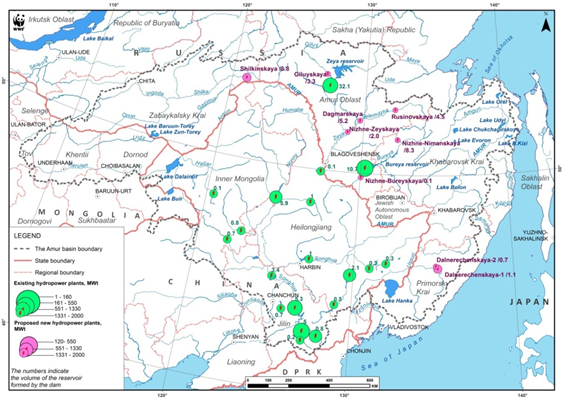 Nizhne-Zeyskaya Hydro (project also known in Soviet times as “Gramatukhinskaya Hydro”) was among 9 (and then 4) new hydropower plants proposed by RusHydro to Chinese partners for immediate construction right after the large flood of 2013. It should have been built 200 kilometers downstream from the giant Zeyskaya Hydro on Zeya River (one of the tributaries of Amur). At some point three small “innovative” run of the river power stations were suggested on that river stretch, but by 2005 the design was again consolidated into single large dam with long and wide reservoir. Given already high damage incurred by Zeyskaya Hydro to the Zeya River this was considered an option with lower (but still significant) impact on aquatic ecosystems and local people compared with some other dams planned in Amur River basin. However, according to impact assessments and highlighted by the coalition Rivers without Boundaries, the planned reservoir was effectively dissecting the last remaining mass-migration corridor across the river by the Siberian Roe-deer and zoologists have been fiercely opposing it for years. Nevertheless, a special JSC Nizhne-Zeyskaya HPP was created in 2006 to manage necessary planning\preparation, construction and then exploitation of the new power plant. After several years of delay in construction, late August 2017 Rushydro announced the liquidation of the project “in accordance with the Program for divestment of non-core assets”. The Company explains that this is one of steps in comprehensive effort to increase efficiency of management of the Company assets. 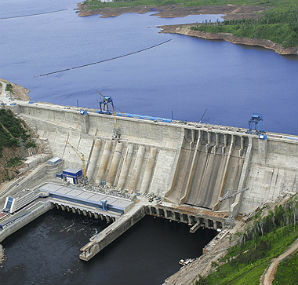 Rivers Without Boundaries commented that "this is a step in right direction that may end many years of brainwashing about extreme necessity to create “flood-control” hydropower dams in Amur . RwB, WWF and other conservation groups joined forces with the East Siberia Branch of the Russian Research Institute for Integrated Use and Protection of Water Resources (VostokNIIVH) to develop more comprehensive review of integrated flood management. Development of Alternatives Opposing groups advocate for a stronger state policy for solar and wind projects. Why? Explain briefly. Civil society groups and environmental organizations salute the decision to scrap the project.